Berlin, Hamburg, Cologne – We network Germany. Social Media Marketing is the tool for recommendation marketing and the exact addressing of target groups through advertisements (pixels and retargeting). Our social media managers develop strategies and methods for companies from all over Germany. Youtube Video Marketing for shoes, Influencer Awards for insurance companies, Facebook Ads for fitness products – the bandwidth is endless. Let us jointly develop your concept for 2018 and 2019 with smart social media tools and honest advice from Digital Natives – we are one. We founded our agency in 2015, since that day we stand for quality. With agency Expertiese from over a decade and the current focus on efficient social media marketing, we quickly made a name for ourselves as an agency. From large-scale A/B split tests for fashion brands to influencers and blogger events for major international insurance companies in Munich. As experts we give workshops, give speeches as speakers but are also more frequently on radio and TV when it comes to questions of the social media world. We help with expertise and experience in tricky questions. Which factors and figures are the basis for social media marketing? Among all the hundreds or even thousands of factors to consider, from different regions, cities, countries to different age groups to different interests people can have. We want to take you with us for a few thoughts and introduce different basics to give you a little insight into the work of a social media manager. Social Media Management from the ground up, deals with the development of channels and communities. First, the different KPIs are defined, which are the values to be achieved (goals) in a social media campaign. No matter whether the campaign is successful through organic traffic, e.g. 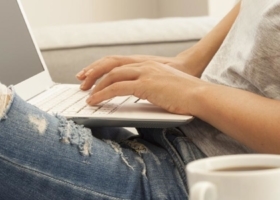 through bloggers or influencers, or through investment in advertising. 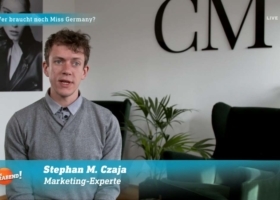 Owner Stephan M. Czaja is a book author, writes articles for magazines, helps with YouTube videos with questions and knows the way in the digital transformation. So Social Media Agency we were already mentioned in the second year as one of the recommendations, among others in the renowned Internet Business World Magazine. Especially many media companies but also publishing houses, advertising agencies and companies of all kinds are present in Hamburg – a lot of competition! With its international flair and its famous inhabitants, Hamburg offers a perfect location for innovative companies and new concepts. As a social media agency, we provide clients with concepts and strategies for Hamburg. The city always has its finger on the pulse of the times and accordingly, marketing demands modern concepts that reach the right target group and ultimately convince them of the product or service. While other cities like Berlin tend to focus on “loud” and “colourful” marketing, Hamburg companies are much more discreet when it comes to marketing products. The address in the social networks has a very creative level. 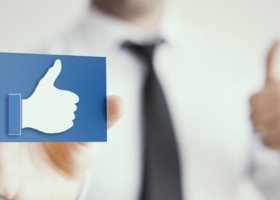 At present, Facebook is particularly popular as a sales channel. In particular by the very exact filter options for the perfect reaching of target groups, advertisement can be played very exactly and avoids high losses. This efficiency results from the fact that advertisements are only issued to an audience that is already brand or industry affine. People with less potential for interaction are not even addressed. Retargeting also enjoys great popularity. Here, visitors to a website or online shop can advertise products again – over and over again. If you have not yet made a purchase, we will discreetly invite you to do so. YouTube, Facebook, Instagram but also specialized social networks such as LinkedIn, Xing or Pinterest are becoming more and more popular with people and with the growing target group, which can be advertised through actions in the social networks, the potential for companies and businesses in Berlin and the surrounding area is also increasing. Marketing strategies and concepts are no longer limited to a social network. The different platforms offer their use different incentives, the USP (a “unique” feature). Facebook is now a global network for information and will be used in particular for regular (daily) sending of information. YouTube is the platform for moving images, tutorials, films and documentaries. Today it’s all about streaming, single videos and playlists. As a company you should be present in the universe of Youtube and video marketing, that is undisputed! Whether it is through advertisements on Facebook or through placement in videos by bloggers. Social Media Marketing in the German capital always plays a central role when it comes to your own online marketing mix. In Munich there is not only a large market of ideas, but also many creative concepts due to all the international influences. Due to the flourishing economic situation, many companies in Munich have long been strongly positioned in social media marketing. Therefore it is all the more important to position your own company. 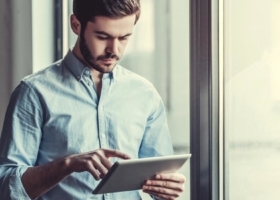 Digital transformation begins with production processes and ends with communication strategies. Whether it’s YouTube, Facebook or Instagram. These three social networks in particular play a central role in decision-making in companies when it comes to modern strategies. Facebook with its precise playout of advertisements is excellent for all companies with media budget. YouTube, on the other hand, binds users for a longer period of time and thus ensures a more intensive perception of the brand. On the other hand, “loud” and present advertising, i.e. 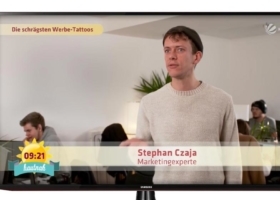 something like “bargains”, is less easy to position in YouTube videos, because advertising is a deterrent. Because this is more about authenticity. Where Influencer Marketing works great is Instagram. The network is known for its young, trendy target group. The two cities in North Rhine-Westphalia stand for two different, very strong values: TV and Fashion! Cologne is known as the media city! Various TV stations, radio stations, private and public. As a result, many media processes take place here: From “classic” named TV to modern social media marketing. Thanks to the strong presence of media companies, Cologne has become a hotspot, although it is smaller than the other metropolises of Berlin, Hamburg and Munich. Düsseldorf, located directly in the neighbourhood, stands especially for its trend-conscious appearance. Düsseldorf hosts the most fashion shows in Germany and stands for the word “fashion” like no other city. Various large, international companies are based here and conduct their business in Germany from here. 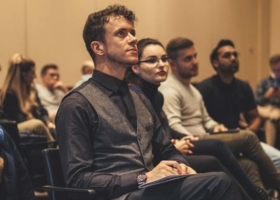 In combination, Cologne and Düsseldorf are really strong when it comes to marketing, because with the connected Ruhrpott, there are over 10 million people in the immediate vicinity. Not everyone can afford their own social media agency that reaches the right target group in Berlin, Munich, Hamburg or Cologne Düsseldorf. If you want to keep the Know How in your own company or if you want to assign your own employee with the daily work, we have a lot of free tips and help for you! In our Social Media Blog you will find various tutorials on Facebook Marketing, YouTube Video Marketing and Instagram Marketing. We also discuss more specific topics such as Pinterest but also marketing methods for Twitter. Depending on the target group, the social networks and the respective approach differ. Learn from us how you can train your own social media manager so that the basics are perfectly covered and you can build your own community in your daily business. The first 1000 fans are your goal today! 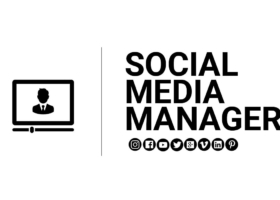 If you want to learn now how social media marketing works, with free videos in the online course, read more about help on social media manager. If you would like to book a workshop or training for your employees, read more about our training and workshops here.